Summary: In this post we are going to share the top methods to fix iPad Stuck in Apple Logo (Black screen with a white apple logo) during/after iOS 12/11.4 upgrade or downgrade. These days Apple released several beta versions for iOS 12 before it is formally available for iOS users. Not surprisingly, there are so many bugs found in the beta version. One controversially that problem is that iOS 12 update will cause iPad stuck on Apple Logo. I am going to share 3 different methods to fix iPad screen gets stuck in Apple logo without any progress. Read on and find a solution to get your iPad out of iOS 12/11 Apple logo stuck. This is an ultimate solution, and also the most recommended, if you need a 100% work solution and ensures no data lost. To recover iPad system, all you need is a third-party utility Any iOS System Repair (ReiBoot). This free iPhone/iPad reboot tool can get iPhone and iPad out of recovery mode by one click. For other iOS 12/11 update problems like apple logo, endless reboot, dfu mode, black screen, etc., the “Fix All iOS Stuck” feature in Any iOS System Repair (ReiBoot) Pro will repair operating system without causing data loss. Install Any iOS System Repair (ReiBoot) on PC/Mac, and connect your iPad Pro, iPad Air, iPad Mini, or iPad to computer with USB cable. 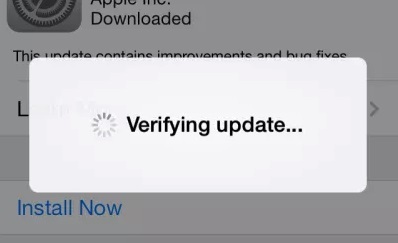 Choose “Fix All iOS Stuck” > “Fix Now” to download the latest firmware signed by Apple. When the firmware is downloaded successfully, Any iOS System Repair (ReiBoot) will start repairing system automatically. The whole process takes around 10 minutes. After that, your iPad will restart and exit Apple logo successfully. This method is safe and fast. You can also try the other two methods that I will write about in the following parts. This is one size fits all solution to all iOS 12/11 problems. Simply press the Home and the Power (sleep/wake) button at the same time. Keep holding the buttons for at least 10 seconds till apple logo appears on your iPad’s screen. Another method to fix an iPad stuck on apple logo after iOS 12/11 update or iPad stuck in recovery mode after updating iOS 12/11 is to restore it in iTunes. Restoring in iTunes can fix the iOS 11 stuck problems, but all your data will be wiped. We do not recommend you trying this unless you have backup in iTunes or iCloud beforehand. When you connect your iPad in iTunes, iTunes won’t recognize it as usual. Instead, a window pops up and says something like or similar to “there is a problem with this iPad that requires it to be updated or restored”. 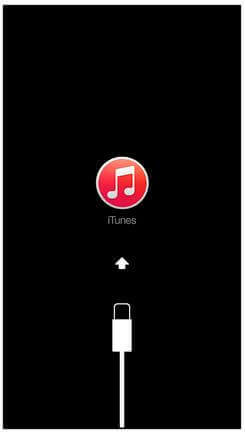 Click Restore and wait for iTunes to fix the problem. After following these solutions, you are sure to fix iOS 11 update stuck on Apple logo or recovery mode. You may also have interest in other iOS 12/11 problems that have been reported and also their feasible solutions.